Q: After work is completed, how long is it until I can walk on my block paving? A: It ill be within 24 hours or possibly straight away! Upon the completion of the project, your paving should be fully functional. We will be sure to tell you if otherwise, and advise on when it will be ready. 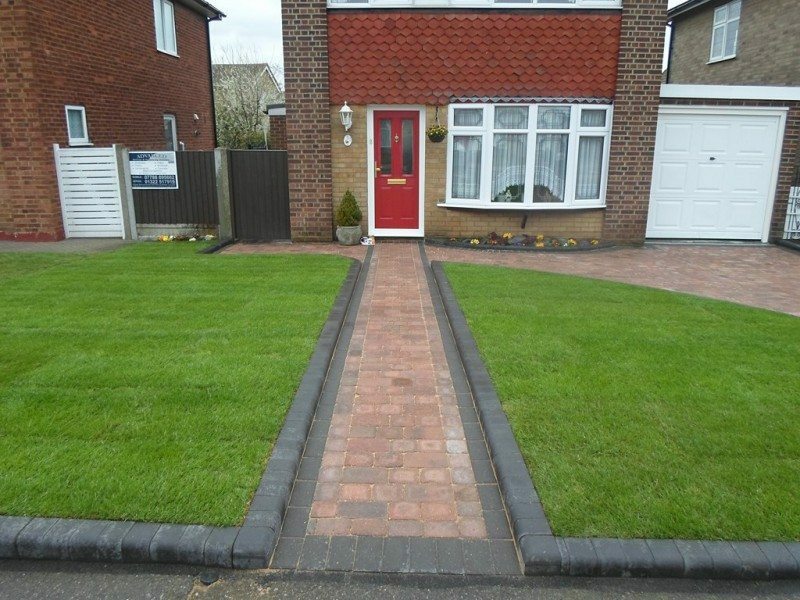 Q: Do you build over an originally laid driveway, with the new one? A: No. For the best quality, the old driveway will be removed and lifted and the ground prepared for our sub-base. The new driveway will be laid on perfect foundations this way, guarantying you 10 years of perfect functionality. Q: On average, how long does it take to complete a new driveway/patio? A: Upon our initial consultation and visit, we will likely tell you the timescale. However, to give a guide, a standard sized driveway on a semi-detached home will take 3-4 days. Q: Can you guarantee limited disruption? A: Firstly, we keep mess to a minimum so that your property maintains its appearance. We are also respectful that you will want your neighbours to be comfortable too as the work is undergone and we keep a polite, professional manner with all the projects we take on. Q: Are you only operative in Essex? A: No. Previous works have been undertaken in Kent, London, Canterbury, Maidstone and Gravesend. Contact us to see if we can reach you! Q: Upon a consultation, can you provide drawings? A: Yes, you will have your own copy of the agreed design plan for you to further study afterwards. This way you will be able to change anything and thoroughly understand how the finished project will look. Q: Can you work with already drawn designs? A: Of course. We will have to double check that the design is accurate (as previous designs may neglect manholes and drains), but this is not a problem. Q: Will I need a building regulations approval to erect a garden wall? A: No. These are void of such permissions. Q: Will I need planning permission for my garden fence? Q: What are your certificates / policies / licence? A: We are proud of our achievements and have them here. We are members of the Guild Of Masters Craftsman (an organisation that recognises quality tradesmen.) We are also fully insured. We can provide you with our policy certificates. Please feel free to get in contact (visit our contact page) for more information. Q: Can you recommend the best paver? A: Each paver is ideal for its own unique reason. However, the quality of the paver does depend on the manufacturer. When deciding on your ideal paver, look for strength, water absorption and abrasion index. Q: How do I restore faded concrete? A: Most concrete materials can be renewed by using various tints and stains. Q: Can you tarmac over my concrete driveway? A: It depends on the quality of the concrete. If it is sustainable (meaning that there are no cracks or any other factors) then we can arrange this to have tarmac put over. Q: Is your work going to survive the more extreme British weather? A: We can personally recommend different materials that will benefit your area the most (as factors such as where the property sits can require certain materials). Our 10 year guarantee covers all weather conditions. We are willing to work in most weather conditions, but poor weather will depend on what we can do. Q: Can you / Do you pave over unstable ground? A: The ground will have to be reduced to a foundation base. This enables us to make a hard surface on which the paving will best sit. Then we will pave over, once the ground is readily prepared. Q: What are your typical working hours? A: Work normally commences between Monday – Friday. We begin work from 7:30am and our day finishes at 5pm. If this is of an inconvenience to you, please contact us to see if an appropriate work schedule can be arranged. Q: Will I have to be present during the work? A: We understand you will need to continue your daily errands / go to work / school run. This means being present during the duration of the work may be impossible. It is not a requirement for you to be present. A: You will be able to walk on your block paving straight away! Upon the completion of the project, your paving should be fully functional. We will however let you know if it is not safe to walk on and will advise you when it will be ready to park or walk on. A: No, this is something we will not do. For the best results, we will remove and lift the old driveway. The ground will then be prepared for our sub-base and then the new driveway will be laid on perfect foundations. This way we can guarantee you that your driveway will last for at least 10 years. To give you a rough idea a standard sized driveway on a semi-detached home will take 3-4 days. We can however, give you an exact timescale upon our initial consultation and visit to your home, once we have discussed with you your exact requirements. A: With any kind of building work there is going to be some disruption but we can assure you that we will keep the mess to a minimum so that your property maintains its appearance. We also are aware of your neighbours and do not want to inconvenience them in any way while the work is being carried out. We take it upon ourselves to be polite and work in a professional manner with all the projects we take on. A: A percentage of the work we now take on is in Essex. Places like Basildon, Stanford le hope and Corringham are all regular places we get to visit and offer out our services. Please contact us if you do not live in Essex and would like to know more about the services we provide and we will tell you if we can accommodate you or not. A: Yes of course we can. We will also give you a copy of the agreed design plan for you to keep so you know exactly what we are going to do. This way you will be able to change anything and thoroughly understand how the finished project will look. A: Of course, if you have already had plans made up then we can work with these. We will have to double check that the design is accurate (as previous designs may neglect manholes and drains), but this is not a problem. If we do find that there is something missing or wrong, then we can add this to your plans so you know that the project will be completed properly. A: No. This will not be needed when you have a normal sized brick wall built around your garden. Is next to a road/footpath and approximately 1 metre high. If it is going to be on or attached to a listed building. We can go into more details about your new fence when we give you a free no obligation quote. Q: Can you recommend the best paving slabs? 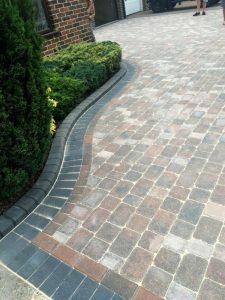 A: There are many paving slabs to choose from and each one is ideal for its own unique reason. However, the quality of the paving slab does depend on the manufacturer. 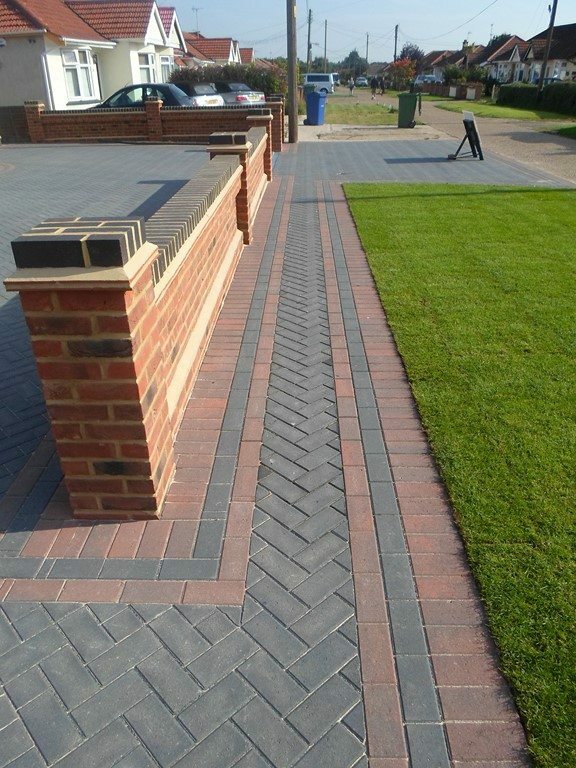 We can help you to decide on what paving blocks to go for. We always recommend that you look for strength, water absorption and abrasion index. We can explain everything you need to know about all this when we show you the choice of paving blocks we have when we give you a free no obligation quote. A: Most concrete materials can be renewed by using various tints and stains. If you would like to know more about the tints and stains, then please feel free to contact us and we will give you all the information you need. A: It depends on the quality of the concrete. If it is sustainable (meaning that there are no cracks or any other factors) then it is possible to tarmac over your driveway. 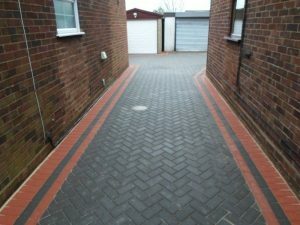 One of our experienced team will only be too happy to come and inspect your driveway and give you a quote on how much it would cost for us to do this for you. Q: Is the work you have done going to survive the more extreme British weather? Q: Is it possible for you to pave over unstable ground? A: It is possible but the ground will have to be reduced to a foundation base. This enables us to make a solid foundation on which the paving will sit. We will then pave over this once the ground is prepared properly. A: Unlike most companies, we work 7 days a week. We start work at 7:30am and our day typically finishes at 7pm. If these times are not suitable for you then please contact us to see if an appropriate work schedule can be arranged. We are quite flexible and can work around your busy schedule. A: We understand you will need to continue your daily errands / go to work / school run. This means being present during the duration of the work may be impossible. As long as there is easy access to the rear of your property then it is not required for you to be there at all times. Q. What would you say were the advantages to having artificial grass? A. There are many advantages to having artificial grass. For a start, it doesn’t need watering. We have enough rain in the UK to keep the ground below wet enough to stop it from cracking. It is very low maintenance. A quick sweep every now and again will be all it needs. There will be no more spending hours cutting your grass, bagging it up and leaving it for the council to take away. It looks amazing all year round. It is ideal for children and pets and will not be affected by bad weather conditions. What more can we say about this great alternative to real grass. Q. Will you lay the artificial grass over the top of my real grass? A. If the drainage is good and the surface is flat then it is possible to do this but we would recommend that the old grass is removed, proper drainage measures are carried out and the artificial grass is laid on top of the desired area. This way it will last a lot longer and no problems should arise for many years to come. Q. Apart from my garden, where else can I use artificial grass? A. Artificial grass can be laid around swimming pools and caravans. It can be used in play areas and on playing fields as it is ideal for playing football on. We have laid artificial grass on roof tops and in kennels where dogs are trained. There really isn’t anywhere we cannot lay this and this is why it is so popular with our customers. Q. Once the artificial grass is laid, how long will it last? A. It really does depend on what type of artificial grass you go for as there are many different types to suit your budget. Obviously the more you pay, the better quality the grass will be and the longer it will last. So it could range between 6-10 years. Q. Will I still have weeds growing through once I have artificial grass laid? A. There is a slight chance that a few may grow through due to the sand infill we use. If seeds are dropped onto the grass they can still grow but a quick sweep with a rake will get rid of these in no time at all. Q. I have just moved into a property and would like a new fence installed. The old fence posts and panels are still here. Do we need to remove these or can you do this for us? A. We will remove all the fence panels and posts for you and will dispose of them properly. It may be that the fence posts are still ok to use and we can just replace the fence panels, saving you some money. If you would like us to come and look at the posts, then please give us a call.